Dudley® Thunder Fast Pitch Softball, 12"
COR .47 compression 375 lbs. 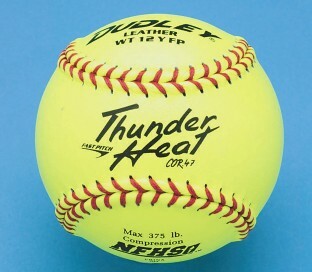 This 12” fast-pitch softball includes a cork center, leather cover and red stitching. COR .47 compression 375 lbs.